1.1 oz / 32 ml $13.02 ORGANIC. PART OF PLANT – Leaves and Twigs from Eucalyptus Tree. 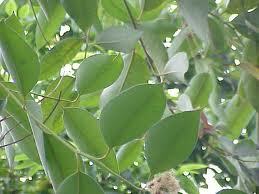 Eucalyptus globulus is the best of all eucalyptus species, for coughs, colds and flu, due to high amounts of 1,8 cineole. Heals body tissues – sprained ligaments and tendons / cuts. Painkilling – muscle tension / arthritis / lumbago / sciatica / joint pain. Antiviral – flu / colds / herpes / shingles / measles / warts. Antifungal – athlete’s foot / thrush. Antibacterial – cystitis / boils. Antiseptic – cuts / acne / bites. Bronchial dilator – coughs / sinusitis. Diuretic – reduces water retention. Mucus fluidifier – allows congealed, stagnant mucus or phlegm to flow. SPECIAL – may dissolve gallstones / may reduce fever. PRECAUTIONS – Do not use if you have high blood pressure / Do not combine with Homeopathic remedies / Avoid in pregnancy, or if you are trying to fall pregnant.